Periodontal disease is a serious bacterial infection of your gums that can cause tooth loss in 75% of adults if left untreated. This infection is often undetected as the symptoms are noticeable only after the infection has spread and needs clinical treatment. Gum Disease or Pyorrhoea is the most common dental disease which can affect at any age, but more commonly it affects after the age of 30 years. Pyorrhoea or Gum Disease is a painless disease affecting the gums, roots of the teeth and the underlying bone. Many times patients don’t have any complain, but some time they complain of bleeding while brushing, mild sensitivity on eating cold things, bad breadth and stickiness in the mouth. Non-surgical treatment for Gum Disease involves scaling and polishing of teeth. The effectiveness of the procedure depends largely on the stage of the disease, the efficiency of instrumentation and the maintenance on the part of the patient. 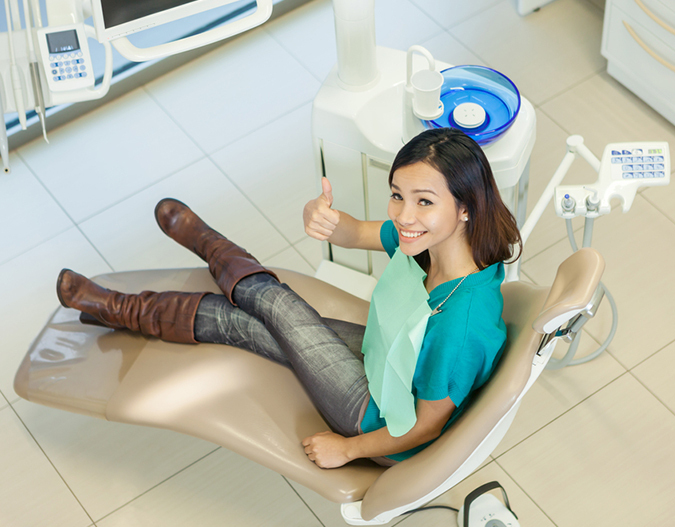 Once the patient is examined, we brief the underlying conditions of the patient’s oral health and advise any surgical treatment that may be required. For long term maintenance of teeth, it is therefore advisable to go in for a professional cleaning once in a year even if you do not have an evident gum problem. If untreated, pyorrhoea can lead to tooth loss and more than 70% of teeth loss in the people is due to pyorrhoea. At this stage the teeth start shaking, they are unable to withstand chewing forces, pus forms in the gums and foul smell starts from the mouth. At our dental clinic in Gurgaon, we provide extensive periodontal therapy to detect, counter and cure any gum disease. In certain cases however, it is possible to regrow the lost bone by use of certain bone substitutes called Bone grafts. Dr. Gupta's Dental Implant and Orthodontic Centre, equipped with advanced Dental Lasers technology, offers treatments for gum surgery like gummy smile, tooth lengthening etc. Gums are as important as your teeth. As we are unable to see any underlying conditions, it is important to get regular check ups done for the same. Our in-house specialists are trained to provide the most accessible treatment for your gum disease in Gurgaon.